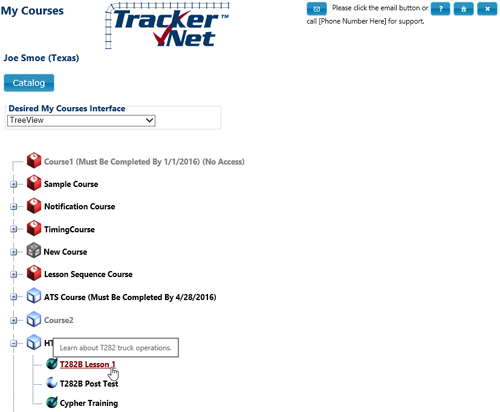 We like Tracker.Net LMS. And the support is great..!! Check with Jeff Rhodes at Platte Canyon. They have a nifty LMS that is fairly robust and is priced very competitively. I like the fact that Tracker.Net worked first go and we don't have to mess around adjusting courseware to use in the LMS. It is also great value for money (I found most other similar LMS's start at around $20 to 30K). You have done a fantastic job on this LMS. The more I use it the more I like it! It's by far and away the easiest to use LMS I've ever seen and your SCORM support is very comprehensive. I think your decision to not use the manifest files really simplifies things as well, as in the past the manifest has caused the most grief.